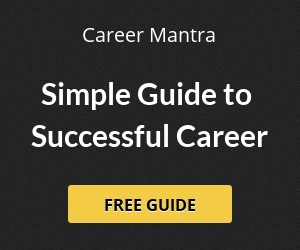 The Assistant Examination Syllabus has been divided in two parts, Part-I includes General Ability Test and in Part-II, it includes Engineering Subjects. a) General Hindi : This paper will covers basic questions on Hindi Language and Hindi Grammer. b) General Studies : General studies and current events, which focus on the scientific aspects and will contain additional information comes in everyday experience and who can be expected from an educated person. In this paper it will covers basic topics like India’s history, politics and geography are included such questions whose answers will give candidates without special study. Elementary knowledge of computer applications. a) Theory of Structures : Principles of super-position; reciprocal theorem, unsymmetrical bending. Determinate and indeterminate Structure; simple and space frames; degrees of freedom; virtual work; energy theorem; deflection of trusses; redundant frames, three-moment equation; slope deflection and moment distribution methods; column analogy; Energy methods; approximate and numerical methods. Moving loads shearing force and Bending moment diagrams; influence lines for simple and continuous beams. Analysis of determinate and indeterminate arches. matrix methods of analysis, stiffness and flexibility matrics. b) Steel Design : Factors of safety and load factor; Design of tension; compression and flexural members; built up beams and plate girders, semi-rigid and rigid connections, Design of stanchions, slab and guesseted bases; cranes and gantry grider; roof trusses; industrial and multi storeyed buildings. Plastic design of frames and portals. c) R.C. Design : Design of slabs, simple and continuous beams, columns, footing-single and combined, raft foundations, elevated water tanks, encased beams and column, ultimate load design. Methods and systems of prostressing; anchorages, losses in prestress. a) Fluid Mechanics : Dynamics of fluid flow-equations of continuity; energy and momentum. Bernoulli’s theorem; caritation, velocity potential and steam function; rotational and irrotational flow, free and forced vertices; flow net, dimensional analysis and its application to practical problems. Viscous flow-flow between Static and moving parallel plates, flow through circular tubes; film lubrication. Velocity distribution in laminar and turbulent flow boundary layer, Incompressible flow through pipes laminar and turbulant flow critical velocity, losses Stamption and moody’s diagram. hydraulic and energy grade lines; siphons; pipe network. Forces on pipe bends. compressible flow-Adiabatic and isentropic flow, subsonic and supersonic velocity; mach number, shock wave, Water Hammer, surge Tanks. i) Open channel flow – Uniform and non-uniform flow, best hydraulic cross section. Specific enegry and critical depth, gradually varied flow; classification of surface profiles; control sections; standing wave flume; Surges and waves. Hydraulic jump. ii) Design of canals – Unlined channels in alluvium; the critical tractive stress, principles of sediment transport regime theories, lined channels; hydraulic design and coat analysis; drainage behind lining. iii) Canal structures – Designs of regulation work; cross drainage and communication workscross regulatiors, head regulator, canal falls, aqueducts, metering flumes etc., Canal outlets. iv) Diversion Headworks – Principles of design of different part on impermeable and permeable foundations; Khosla’s theory; Energy dissipation; sediment exclusion. v) Dams – Design of rigid dams; earth dams; Forces acting on dams: stability analysis. Design of spillways. Wells and Tube Wells. c) Soil Mechanics and Foundation Engineering : Soil Mechanics- Origin and Classification of soils; Atterburg limits. Void ratio : moisture contents permeability, laboratory and field tests, seepage and flow nets, flow under hydraulic structures uplic and quick and condition. Unconfined and direct shear tests; triaxial test; heat pressure theories, stability of slopes; Theories of soil consolidation; rate of sttlement. Total and effective stress analysis, pressure distribution in soils; Boussinesque and Westerguard theories. Soil exploration. Foundation Engineering; Bearing capacity of footings; piles and walls; design of retaining walls; sheet piles and caissons. Principles of design of block foundation for machines. a) Building construction : Building materials and constructions- timber, stone, brick, sand, surkhi, mortar, concrete, paints and varnishes, plastics, etc, Detailing of walls, floors roofs, ceillings, staircases, doors and windows. finishing of building plastering, pointing, painting etc. Use of building codes. Ventilation, air conditioning lighting and acoustics. Building estimates and specifications. Construction scheduling: PERT and CPM methods. i) Railways – Permanent way ballast sleeper; chairs and fastenings; points and crossings different types of turn outs cross over setting out of points. maintenance of track super elevation creep of rail, ruling gradients; track resistance, tractive effort; curve resistance, Station yards, station buildings; platform sidings; turn tables. Signals and interlocking; level crossings. ii) Roads and Runways – Classification of roads, planning geometric design. Design of flexible and rigid pavements; sub-bases and wearing surfaces. Traffic engineering and traffic surveys; intersections road signs; signal and markings. iii) Surveying : Plane Table Surveying: Equipment & methods, solution of 3 & 2 point problems. Errors and precaution. Triangulation; Grades, Baseline and its measurement, Satellite station, Intervisibility of Stations; Errors and Least squares. General methods of least squares estimation with interdisciplinary approach, adjustment of level nets and triangulation nets. Matrix notation solutions. Layout of curves: Simple, compound, reverse, transition and vertical curves. Project surveys and layout of Civil Engineering works such as buildings bridges, tunnels, and hydroelectric projects. a) Water Resources Engineering – Hydrology- Hydrologic cycle; precipitation; evaporation-transpiration and infiltration hydrographs, units hydrograph; Flood estimations and frequency. Planning for water Resources- Ground and Surface water resources; surface flows. Single and multipurpose projects storage capacity, reservoir losses, reservoir silting, flood routing. Benefit cost ratio. General principles of optimisation. b) Water Requirements for crops – quality of irrigation water, consumptive use of water, water depth and frequency of irrigation; duty of water; Irrigation methods and efficiencies. c) Distribution system for canal irrigation – Determination of required channel capacity; channel losses, Alignment of main and distributary channels water logging its causes to control design of drainage system; soil salinity. river training- Principles and methods, Storage works-Types of dams (including earth dams. ), and their characteristics, principles of design, criteria for stability. Foundation treatment; joints and galleries. Control of seepage. Spillways different types and their suitability, energy dissipation. Spillway crest gates. d) Sanitation and Water Supply – Sanitation-Site and orientation of buildings; ventilation and damp proof course; house drainage; conservancy and waterborne system of waste disposal, sanitary appliances, latrines and urinals. e) Environmental Engineering – Elementary principles of Ecology and Ecosystems and their interaction with environment. Engineering activity and Environmental pollution. Environment and its effects on human health and activity. Air Environment: Major pollutants and their adverse effects, types of air cleaning devices. Water quality: Parameters, adverse effects, monitoring salt purification of streams. Solid Wastes: Collection systems and disposal methods, their selection and operation. Typical features of Water distribution systems: Demand, available need, network analysis, storage, corrosion. f) Typical features of Sewerage systems – Permissible velocities, paratial flow in circular sewers, non-circular sections, corrosion in sewers, construction and maintenance, sewer upputrenances, Dumping of sewage, Plumbing: Standards & systems. Environmental Management. a) Statics : Equilibrium. Suspension cables. Friction. Trusses. Principle of Virtual work. b) Dynamics : Kinematics of rigid bodies- plane motion, absolute motion, relative motion, Kinetics of rigid bodies- plane motion, force, mass and acceleration, work and energy, impulse and momentum. c) Theory of Machines : Velocity and acceleration of links. Cams, Gears and gear trains. Clutches. Belt drives, brakes and dynamometers. Flywheel and governors. Balancing of rotating and reciprocation masses and multicylinder engines. Free, forced and damped vibrations. critical speed and whirling of shafts. d) Mechanics of Solids : Stress and strain in two dimension. Mohr’s circle. Strain rosettes Torsion of circular shafts. Stresses and deflections due to bending of beams. Unsymmetrical bending. Curved beams. Castigliano’s theorem. Thick cylinders. Shrink fit. Stability of columns. Theories of failures. a) Material Science : Atomic structure, Crystal systems, Imperfections, Polymers Elastomers and Ceramics. Mechanical behavior of Materials- Elastics and inelastic action, linear and non-linear elastic properties. True and conventional stress strain curves for common engineering materials. Strain hardening, Ductile and brittle transition, Fractue. Creep and Fatigue. Semi-conductors super-conductors and ferrites. Magnetic and dielectric properties. b) Manufacturing Science : Merchant’s theory, Taylor’s equation. Machinability. Unconventional machining methods including EDM, ECM and ultrasonic machining. Analysis of forming processes. High velocity forming, Explosive forming. Surface roughness, gauging comparators. jigs and fixtures. c) Production Management : Work simplification, work sampling, value engineering, line balancing, work station design, storage space requirement. ABC analysis. Economic order, quantity including finite production rate, Graphical and simplex methods for linear programming, transportation model, elementary queucing theory. Quality control and its uses in product design. Use of X,R,P,(sigma) and C Charts. Single sampling plans, operating characteristics curves. Average sample size. a) Thermodynamics : Application of the first and second laws of thermodynamics. Detailed analysis of thermodynamic cycles. b) Fluid Mechanics : Reynolds transport theorem and its applications. Ideal fluid flow. Velocity distribution and resistance laws for laminar and turbulent flow in pipes. Dimensional analysis and similitude. forces on immersed bodies and boundary layer over a flat plate. Isentropic flow and adiabatic flow, normal and oblique shock waves. factor. Natural and forced convection. IMTD heat exchanger effectiveness and number of transfer units. a) Energy Conversion : Combustion phenomenon in S.I. and C.I. engines. Carburation and fuel injection. Classification of hydraulic turbines, specific speed, Selection of turbines, Microhydropower stattion and equipment, Centrifugal pump, performance of compressor. Analysis of steam and gas tunbines. High pressure boilers. Unconventional power systems including Nuclear Power and MHD system. Utilization of solar energy. b) Environments : Control. Vapour compression, absorption, steam jet and air refrigeration systems. Properties of important refrigerants. Psychrometric properties, psychrometric relations. Use of psychrometric chart. Estimation of cooling load, supply air conditions, sensible heat factor, system layout. This paper will contain two sections (A&B). Section-A will contain Networks and systems, E.M. Theory, control Systems, and Elements of Electronics. Section-B will deal with Power System Analysis and Design, Elements of Electrical Machines, Utilization and drives, and Measurements. a) Networks & Systems : Transient and steady state analysis of systems, state space analysis of networks, operational methods in networks and systems, Laplace Fourier and Z transforms for continuous and discrete system, Frequency response of continuous and discrete systems, response characteristics and stability, R-L & R.C. network synthesis. b) E.M. Theory : Analysis of electrostatic and mangetostatic fields. Laplace, Poisson and Maxwells equations, solution of boundary value problems, electromagnetic wave propagation, ground and space waves, Propagation between Earth station and satellites, Field Concepts of Circuits. c) Control Systems : Mathematical modelling of dynamic linear continuous and digital control systems, Block diagrams and signal flow graphs, state space modelling and stability, Error evaluation, Error series compenstation, Liapunov methods for stability. d) Elements of Electronics : P-N junction diode, Zener Diode, junction triode transistors and their parameters, current, voltage gain and input-output impedance, biasing techniques, common base emitter amplifiers, feed back oscillator, coalpit oscillator and Hartley oscillator, Wave shaping circuits and timebase generators, analysis of multivibrators, digital circuits. a) Power System Analysis and Design : Line parameters and calculations, Performance of Transmission lines, voltage distribution over an Insulator string, string efficiency improvement, sag and tension calculations, conductor vibrations, Disruptive and visual Critical Voltage, Corona loss, Interference between Power and Communication Line, Parameters of single and three core belted cables, Bus admittance matrix, Load flow equations and methods of solutions, Faste decoupled load flow, Balance and Unbalanced Faults and analysis, Digital techniques in Fault Calculations. Power system transients and Travelling Waves, Power system stability, EHV Transmission, HVDC transmission, general design considerations for distribution systems, Design of transmission lines. b) Elements of Electrical Machines : Generation of E.m.f., m.m.f. and torque in rotating machines, motor and generator characteristics of d-c, synchronous and Induction Machine, equivalent circuits, commutation and armature reaction considerations, Parallel operation, Phasor and equivalent circuit of power transformer, determination of performance and efficiency, auto-transformers 3-phase transformers. c) Utilisation and Drives : Electrical motors for various drives and estimates of their rating, starting Braking and reversing operations of motors, speed control of d-c and induction motors, static power controllers and Electronic circuits for speed control, Inverters and converters, characteristics of Traction motors, Dielectric and Induction Heating. d) Measurements : Basic methods of measurement, standards, error analysis, indicating and recording instruments, measurement of voltage, current, power, resistance, inductance, capacitance, power factor, frequency and flux, Instrumentation system for pressure and temperature measurements. This paper will contain two sections (A&B). Section-A will contain Industrial Electronics, digital electronics, microwaves and communication system. Section-B will deal with Electrical and special machines, Power system protection, Analog and Digital computation and Elements of Microprocessors. a) Industrial Electronics : Principles and design of single phase and polyphase rectifiers. Smoothing and Filters regulated power supplies, speed control circuits for drivers, invertors d-c to d-c conversion, choppers, times and welding circuits. b) Digital Electronics : Small Signal Transistor analysis, Steady State and Transient switching characteristics of semiconductor devices, clipping clamping and switching circuits, Multivibrators, Boolean. Algebra, logic gates, I.C. building blocks and modules, combinational and sequential digital circuits, semiconductor memories. c) Microwaves and Communication system : Electromagnetic wave in guided media, wave guide components, resonators microwave tubes, microwave generators and amplifiers. Generation and detection of amplitude- frequency phase and pulse modulated signals using oscillators, modulators and demodulators, comparison of modulated systems, noise problems, channel efficiency, samplings, Theorem. Sound and vision Broad cast transmitting and receiving systems, antennas, transmission line at audio and ultra high frequencies. a) Electrical and special Machines : Rotating magnetic field, Polyphase motor, Torque slip Characteristics, Equivalent Circuit and determination of its parameters. Starterts, speed control, Induction generator Theory and phasor diagrams, characteristics and application of single phase motors, repulsion motor, series motor, E.m.f. equation and phasor diagram for synchronous machines operation on infinite Bus, synchronising power, Sudden short circuit and analysis of oscillogram to determine machine reactances and time constants, synchronous Induction motor. Amplidyne and metadyne operating characteristics and their applications, principles and operation of servo motors. b) Power system protection : Switch gear methods of Arc Extinction, Restriling and recovery voltage, Testing of circuit breakers, Protective relays, protective schemes for power system equipment, C.T. and P.T. surges in transmission lines and protection. c) Analog and Digital computation : Analysis of op-amplifier, R.C. circuits, use as differentiator and Integrator, simulation of dynamic and algebraic equations, simulation of control systems, Basis of Digital computation, flow charting, numerical analysis for interpolation, curve fitting, area, algebraic linear and nonlinear equations, solution of differential equations through Euler and Rung Kutta Methods. Writing simple programmes for series in AP, CP, HP and combination, equadratic equation roots, Programmes for matrix addition, multiplication and determinants, curve fiting, interpolation, area, linear and nonlinear equation, differential equations of first and second order. d) Elements of Microprocessors : Data representation and representation of integer and flating point numbers, organisation and programming of a microprocessor, ROM and RAM memories, CPU of a imcrocomputer. Interfacing memory and I/O devices, Programmable peripheral and communication interface, Application of microprocessors for temperature, closed loop process control and data acquisition monitoring system. a) Fluid Mechanics : Fluid properties, units and dimensions, fluid statics, kinematics of fluids, continuity, Eulers and energy equation, Bermoulli’s equation, Impulse momentum principles, dimensional analysis and hydraulic similitude, flow in pipes and open channels and measurements of flow. b) Rural Engineering : Kinds of building materials-their properties, timber, brick work and RCC construction, design of slabs, simple and continuous beams, columns, footing, design of foundation, planning and design of rural houses, cost estimation, farm roads, drainage system of villages, Waste disposal and sanitary structures. c) Surveying, Levelling and Land Development : Linear measurements, chain surveying, campass surveying, plane table survey, theodolite surveying, contouring, land grading, survey and design construction procedure contour bench levelling, land grading design and earth work computation, land levelling equipment. d) Process and Food Engineering : Units operations in post-harvest processing (cleaning and grading, drying pasteurisation, concentration of milk, shelling/hulling, polishing, crushing/ grinding of grains etc.) processing cereals, pulses, oilseeds, cattle food, fruits and vegetables, design of grain drying systems, milling operation, equipment and systems. e) Pumps : Design construction, performances, selection servicing and maintenance of reciprocating pumps, vojute and diffuser type irrigation, centrifugal pumps, gear pumps, vertical turbine pump, submersible pumps and propeller pumps, hydraulic ram, jet pumps and air lift pump. f) Storage Engineering : Storage systems and their management, changes in stored products during storage, storage of seeds, foodgrains, their products, air tight, non-air tight and other conventional storages, storage of fruits and vegetables, aerated, refrigerated and controlled atmosphere, design of storage structures including aeration, systems and selection of storage location and related equipments. a) Thermodynamics and Heat Engines : Concept of energy, temperature and heat, equation of state, first law of thermodynamics for closed and open system, pure substances and properties, second law of thermodynamics and entropy, boilers, mountings and accessories, boiler efficiency, steam engines, ranking cycles, indicator diagrams, steam turbine, I.C. engines, air standard, Otto, diesel and Joule cycles. b) Tractor Power : Sources of power on the farms, classification of tractors and I.C.engines, engine components, their construction, operating principles and functions and engine systems, valves and valve mechanisms, fuel and air supply; Coolings, lubrication, Ignition starting and electrical system, engine governing, engine testing and performance, transmission systems of wheel and tract type tractors, clutch, gear box, differential and final drive mechanisms and tractor turning, tractor controls, traction theory, steering and suspension, brakes, tractor power outlets, P.T.O. belt, pulley etc. hydraulic circuits and controls, tractor hitching, category of hitches, mechanics of tractor chassis tractor stability, trouble shooting, tractor repair and maintenance, tractor testing and economic of tractor utilisation. c) Farm Machinery : Importance and role of farm machines in the Indian Agriculture, farm machinery systems in use in India, functional requirements, principles of working, construction, operations, adjustments repair and maintenance of tools, implements and machinery operated by different sources power available on Indian farm for tillage, seed bed preparation, sowing and fertilizer application, planting and transplanting, weeding and intercultivation spraying dusting, harvesting, threshing and combining and transport. Analysis of forces and design of components of farm machinery. Crop and soil factors effecting machine performance and energy requirements. Selection of farm machinery and equipment for various farming system and agro-ecological regions, cost analysis and farm machinery management. Energy requirements for various field operations. d) Irrigation and Drainage : Water resources of India, surface and ground water sources, utillsation and economics, soil water plant relationship-water relation to soil, infiltration, moisture, evapotranspiration, water requirement and irrigation efficiencies, measurement of irrigation water weirs, Parshall flumes srifleds water conveyance and control design of Irrigation field channels and canals, canalising, design of irrigation channels- Lacey and Kennedy theory, most economical channel cross- section, design of under-ground pipe line water distribution system, structures of under ground pipe lines, water control and diversion structures, irrigation methods-theory and design of surface irrigation methods drip irrigation, sprinkler irrigation and irrigation in salt affected soil. Drainage Investigations, hydraulic conductivity, drainable porosity, surface drainage, drainage of flat and sloping lands, open ditches design, alignment and construction, nature and extent of sub-surface drainage benefits of sub-surfaces drainage, methods of layout of sub-surface drainage, design of sub-surface drains, depth and spacing of sub-surface drains, installation of drains and drainage wells. e) Ground Water Hydrology and Tube well Engineering : Occurrance and movement of ground water, steady and transient flow into wells, well interference, well drilling, design of well assembly and gravel pact, installation of well screens, completion and development of wells, surface and sub-surface exploitation of ground water, quality of modeling and project formulation. f) Soil and Water Conservation Engineering : Precipitation, geomorphology of watersheds, hydrological analysis, mass curves, and hydrograph, flood routing grasses, water ways and their design. Introduction to water shed management and planning, head water and flood control, soil erosion- water and wind, estimation of soil loss, design of erosion control practices, contour and strip cropping and bundling terracting, wind breaks, shelter belts, Gullies and Ravine reclamation, energy, momentum principles of surface flow, functional requirements of erosion control structures, classifications of structures- temporary and permanent structures, design features of drop structure, chute spillways and pipe spill-ways, design of diversion structures, small earthen embankment, reservoirs and energy dissipators, cost estimation, see- page and theory of consolidation and strength and stability of slopes. 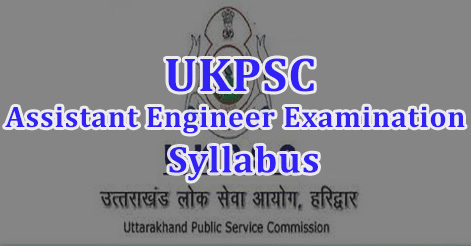 Help us to improve this article/job posting "UKPSC Assistant Engineer Examination Syllabus". We would be glad if you can comment below and provide your valuable suggestions and feedback. If this page have any wrong information/list or out of context content, then you can report us as well. When d forms of AE will be filled ? ?